Mental health help. How to speak about your mental health. How to get mental health help ? I believe a key factor in making progress with mental health lies in explaining how to get mental health help. Alongside this, there must be reassurance and information explaining what that process entails. From a patients perspective there is a huge unknown as to what happens after they seek help for their mental health. I have been wanting to write this post for a long time. There was a time in my life not that long ago, when I needed to read a post like this. I just couldn’t find the information and reassurance that I wanted. As always I am able to write about depression from my own experience. However I do feel that this post will apply to a whole range of mental health related illnesses. I have written this post to reach out to people who are wanting to get mental health help and support. For those of you who feel as though you’re not sure what will happen if you get help for your mental health? You may feel uneasy, possibly scared? What should you do about how your feeling mentally? How will you explain your mental illness to others? Will your doctor understand ? This post is also aimed at readers who have had a diagnosis and have their own story to tell. Let’s start from the beginning. I am not a doctor or health professional. I am a regular everyday women who has depression. The issues I discuss here are of my own opinion. 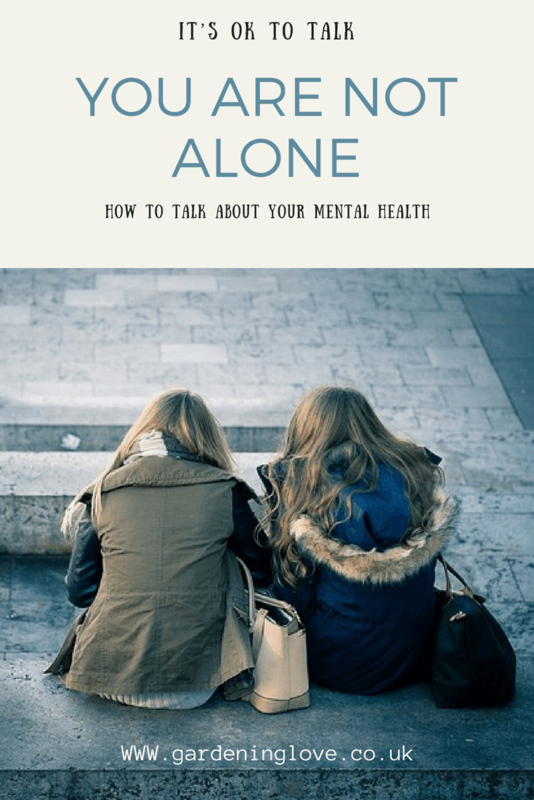 Things I have learned and experienced and how I finally found a way to speak about my mental illness. Mental health illnesses come with a whole host of symptoms that will vary from person the person. Here are just a few that you may experience; over tiredness with either sleeping too much or through a lack of sleep / insomnia. Feeling more tearful than usual and very easily upset. You may start to feel worthless and have a lot of self-doubt. This may lead to increasing negative thoughts about yourself and your life. You may begin to feel guilty, as though the people you love and care for deserve more? Emptiness and almost a lack of feelings and emotion. Losing pleasure in activities and wanting to avoid social situations. Your reality may feel distorted, you may question your existence and wonder what your purpose is. A deep, overwhelming sadness. Not a usual sad feeling but one that pulls you into a deep dark place in your mind. Unable to explain how you feel. You can’t put it into words or rationalise your thoughts. Numbness, a total lack of feelings. Suicidal thoughts, you don’t want to be here anymore / the world is better off without you. Just to make clear these are just a few feelings and symptoms that you may experience, especially from a depressed perspective. This list is not exhaustive and there are many more symptoms that can be experienced. Your GP and local health centre will be able to explain in much more detail. There are also many websites such as MIND and MENTAL HEALTH which hold valuable information on various aspects of mental health help. Personally I had experienced many of the above throughout my whole life but didn’t piece the puzzle together until adulthood. I always thought I’d, shake it off or that I was being dramatic. It was after graduating from university that I really noticed things were not okay. I was aware that a lot of these feeling ran through my body as if they were a part of my fibres. My sadness overwhelmed me and I was at a complete loss as to what to do? Things just got worse for me over the next couple of years. After the very traumatic birth of my first child, I then had my hormones thrown into the mix and that’s when everything peaked for me. I wasn’t dressing myself, I wasn’t caring for myself, as long as my baby was fed and clean then I thought I was doing ok. I figured this was normal for a new mum. That I should pull myself together and get on with it just like the other millions of women across the world. Thankfully a relative noticed and encouraged me to go to the doctors. So let’s move on now to the purpose of this post. I wanted to get mental health help many times, but I didn’t know how to go about it. Much more than that though, I felt scared of what might happen to me if I did. If you find yourself at that stage then please believe me when I say you are not alone. 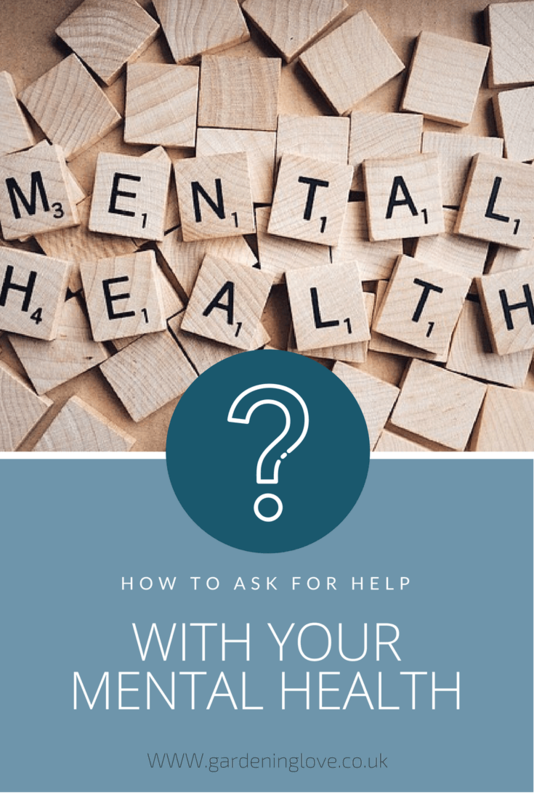 How to ask for mental health help ? It’s not like explaining a cough or a cold ! Some of you may share everything with your friends and family. You may be the type of person who makes contact with their loved ones daily or every few days. You might be the type of person who confides in others easily and openly discusses their health. This is really great if you do. I encourage you to keep those relationships going. To choose someone you feel you can trust to talk to. Sharing how we feel can sometimes be the little breakthrough we need. A fresh perspective from someone close to you can help to steer you in the right direction. On the other hand you may be a private person, and everything I have just mentioned may fill you with dread. Maybe you don’t have anyone close to you that you feel you can confide in. Perhaps you do have very close family and friends but you just can’t have this type of conversation with them. You may keep things to yourself and find it difficult to open up to others let alone tell someone your suffering from symptoms of a mental illness. If this is you in any way, I completely understand how you feel. I want to reassure you that it’s equally ok for you to feel this way and that there are no right or wrong’s here. It’s ok to be you. Which ever type of person you may be, I would next like to reassure you from experience that there is help out there. Please visit your doctor. Now I know that may contradict my previous point about finding it difficult to open up. Again from experience, what I would suggest is that you may actually find it easier to speak to a professional, someone who is a stranger to you. Rather than a relative or friend, a health professional has no knowledge of you, they are a neutral person. In my opinion here lies one of the key factors in the stigma of mental health and a way forward. People want to and need to know what will happen to them if they visit their GP. How will they be dealt with? it’s one thing to go to the doctor to tell them you have a bad back or that you have hurt your leg or whatever. Discussing our mental health doesn’t come close to discussing other everyday ailments and illnesses. It can be an impossible feeling trying to find the words to begin. I thought it might be helpful to share with you a few of the thoughts that ran through my mind before I saw a doctor. How am I going to put how I’m feeling into words? How should I say it ? Do I just come out with it? What will they think of me? They might not take me seriously? I’m wasting their time. Besides doctors have better things to do then listen to me. Will they judge me? What if they think I’m crazy ? They might just tell me to pull myself together. Will they judge me as a parent? Will social services be informed? Now I doubt that I am the first or the last person to run through these thoughts before visiting a GP to discuss their mental health. But this is the problem, there needs to be more information available to explain how to ask for help. To explain what will be discussed at your appointment and what options will be open to you. I sat in the waiting room feeling sick with nerves at the thought of having to go into a room and pour my heart out. I just didn’t know what to expect, but if I am completely honest with you, my main concern was………. what if they take my baby away from me? What if they think I can’t take care of him properly? Will they call social services the minute I leave the room? My name was called and in I went. I saw a male doctor who listened to me and I could tell that he sensed I was on edge. After bearing my soul for 5 minutes he sent me away with the name of a website to look at. I was mortified and I could tell by my husbands face that he was gutted too. Things were difficult for my husband also, who was experiencing the effects of my mental health on a day to day basis. He wanted some sort of resolution. The next day the doctor called me back to say that he felt he had made a mistake and would I go back to see him. I did do, and I started the long journey of looking after my mental health, that I still travel today. Apart from my initial meeting I can say that personally, I have received good support overall from a medical perspective. I am pleased that I went to ask for help. 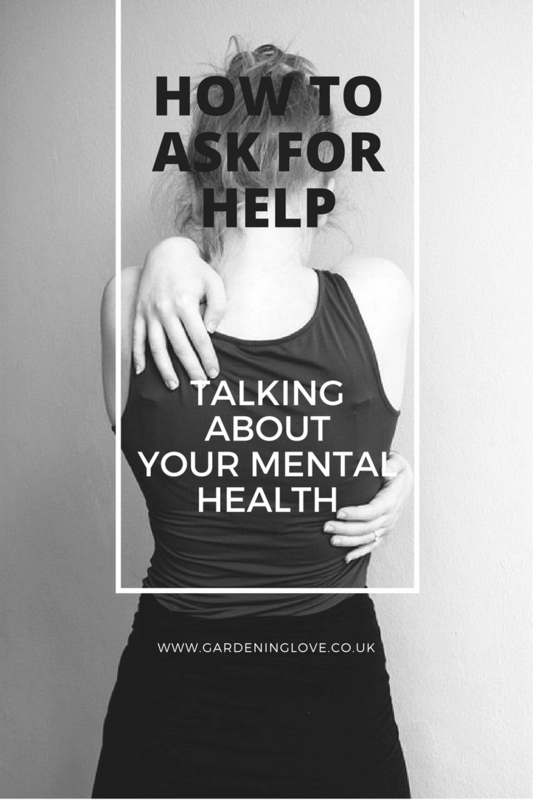 Going and asking for help can also feel quite empowering as you decide that you are trying to take control back. Now I want to be clear, I realise my account of what happened when I went to the doctors may come across as a little negative. However I only want to be honest, and how I have told my story, is exactly how it happened. From then on in, I have had a positive experience. I felt no judgement, I felt supported as a parent and have always been met by very caring and compassionate staff who I feel listen to me genuinely. I hope that there are many others out there who too have felt supported and listened to when they have spoken out about their mental health. Although I understand that unfortunately that may not be the case for some. I honestly believe that if people knew more about how to go and ask for help and what happens to them after. Maybe more people would speak out in the first place. The fact that I couldn’t find any information about what the repercussions would be from me visiting my GP is what put me off going for help a lot sooner. It is the fear of the unknown. Had I known that I wouldn’t be judge. Had I known that my baby wouldn’t be taken away from me, it would have eased my nerves about going. I think a lot of mums who suffer with postpartum depression have similar anxieties about what will happen if they openly talk about how they are feeling. More reassurance is needed and more information needs providing to help people gain the confidence to speak up and admit that they are not feeling well mentally. I talked through some of the symptoms above that might become clear when someone has a mental health illness. However there are many instances when you just do not know that someone is ill. They do not walk around with a sign above their heads. They may wear a smile for others and have mastered the art of deception. Something I too can relate to. I know many people with depression put various ‘masks’ on to hide whats going on underneath. Personally I can be a bit of a joker when I’m with others, it’s almost like a defence mechanism. If you do suspect someone you know is having mental health issues, a gentle approach and a chat may be just what they need to open up to someone. You might try raising the subject, maybe you could say you read an article about mental health help and would they like to read it? If you feel you can ask them outright, maybe you could offer to go to the doctors with them? Being there and listening can be a massive help, however it is equally important not to pressure someone into opening up. Like I said its not like telling someone you have a headache or a sore toe ! It’s a very difficult and sensitive subject. If you are reading this as someone who recognises that you are experiencing any of the symptoms mentioned above. If you are experiencing these symptoms even on a mild level, then there is help for you. It doesn’t matter how long you have felt this way, how old you are, what gender, you are not alone. People with mental health issues are part of a family. We belong to a community of millions of other people all over the world who share the fight against mental health. When you think of it like that, what can be a very lonely and insular illness can be flipped on its head. You are NOT alone !! Please talk to someone about how you feel. There is help available for you. When you walk in to the surgery, sit down, take a deep breath and you will find that somehow the words will come to you. You may find relief just by talking, and when you do find your voice try to talk some more. I put together a Daily Mood Tracker for instant digital download. This can be purchased through the link below or through the Gardening Love shop. It can be very helpful to keep track of your days, how your feeling, the things that you are reflecting on. This can be reprinted as many times as you like and can be useful to take to take to any medical appointments you have, so that everything is noted down in front of you. The more people who seek help the more we will talk about mental health. The more we talk about mental health the closer we get to ending the stigma. Try not to be scared. Try not to worry about what will be, get help and take things one day at a time. Start the conversation. As always I encourage you to share any information below that a fellow reader may find useful. Do you think people feel scared and unsure about what will happen if they get help? What needs to be done to encourage people to find their voice and talk more openly about their mental health? Thank you for reading. Please share with those who may benefit. Start the conversation and keep it going. Thank you very much for taking the time to read. Excellent article and so true. As for me, I started a blog to share my own story and now it has turn into my full-time job. Thanks.